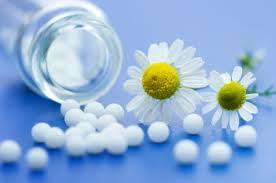 Sanjeevni Homeo Clinic is a Homeopathy Clinic in Dwarka, Delhi. The clinic is visited by doctors like Dr. Ranjana Gupta. The timings of Sanjeevni Homeo Clinic are: Mon-Sat: 11:00-13:00, 18:00-20:30. Some of the services provided by the Clinic are: Scaly Skin,Headaches,Mouth Ulcer,Migraine Treatment and Stress Related Disorder etc. Click on map to find directions to reach Sanjeevni Homeo Clinic. I had palpitation issue from past 2 years. I had consulted Dr. Trehan and Dr Balbir at Medanta. They did all the tests and gave me medicines which was unable to cure. Finally I decided to consult Homeopathy Doctor. I must thank Dr. Ranjana for making me alright. I consulted her and took medicines for approx 3 months and right now I am OK. I would strongly recommend everyone having palpitation issues to consult Homeopathic Dr. rather than rushing to allopathic Dr in big hospital like Medanta. I was having cronic cough for last 2-3 years. after trying lot of allopathic medicin, I found Dr ranjana gupta though practo. in the very first consultant I got 50% relief. now I feel I never had cough problem. Dr.Ranjana is a very efficient and smart doctor as she believes in treating the cause and not just the symptoms. She takes time to understand the situation is friendly and accessible..I am seeing positive results under her treatment.